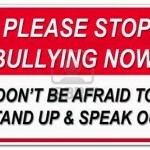 JOIN People Skills global Twitter chat — online rally to end bullying! Host: Kate Nasser, The People Skills Coach™. Use hashtag #PeopleSkills Oct. 16, 2016 at 10amET/2pmGMT. People skills global Twitter chat w/ The People Skills Coach™ will explore peace making vs. peace breaking. JOIN us Sunday Sept. 20th 10amET as we question assumptions & go deeper into this universal and important topic.